Enhance your content empire with industry-leading market data & financial tools that keep audiences coming back & staying longer. Real-time, end-of-day and historical data feeds. Cloud-based APIs for on-demand access to pull the market data needed for your digital, broadcast and print platforms. Stock and commodity quotes, charts and other financial content and tools available in English – branded with your logo and hosted in the cloud, requiring minimal time and effort to integrate into your websites and apps. Looking for national and global business and finance news? Get relevant, reliable, timely business and financial news articles, photos, graphics, audio and video from The Canadian Press and The Associated Press. With more than 80 years of experience, Barchart delivers an extensive range of accurate, timely market data to help your audience stay on top of developments and make informed investment decisions. 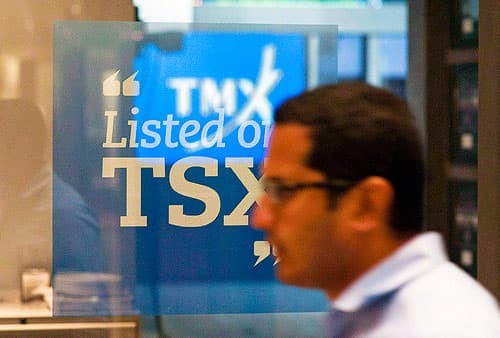 Real-time data sourced directly from exchanges worldwide: Stock and index prices from Canadian, US and other exchanges, mutual funds, commodities and foreign exchange market data. 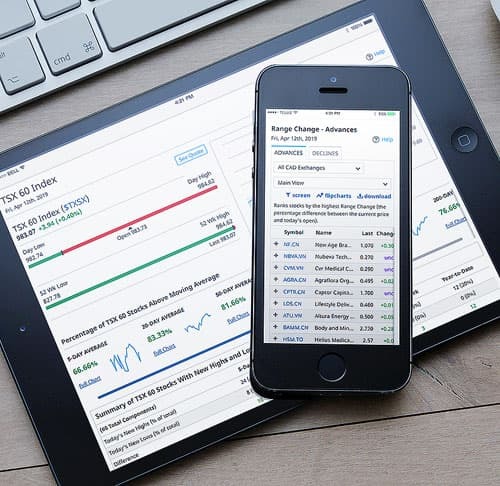 Off-the-shelf, turnkey options: Quickly and easily add widgets to your websites and apps, including leaderboards, market snapshots and commentary, public company financial data and news, portfolios, alerts, watchlists and more. Custom solutions: Financial tools and the type of data presented can be tailored to your specific needs. Unrivalled access to current market data, plus a deep archive of historical data: front, middle and back-office data feeds covering futures, commodities, stocks, indices, forex, fundamental and technical data. Flexible pricing and superior customer service: With a shared focus on maintaining strong client relationships, CP and Barchart work closely with clients to build a package tailored to their business needs and budget. Ready to use real-time, reliable financial data & tools to engage your audience? A no-obligation demo of our financial data and tools.